PK+QP resting on its left wing tip after landing. 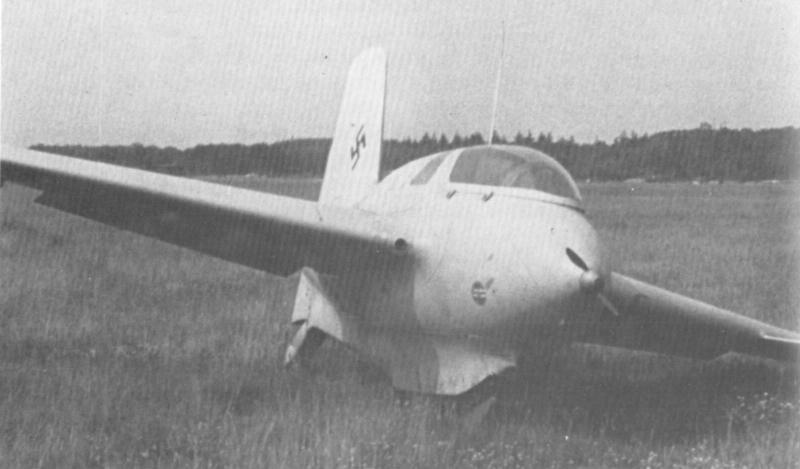 Note the fully extended skid and tail wheel, resulting in a rather dramatic bank angle when resting like this. Flaps are still down.